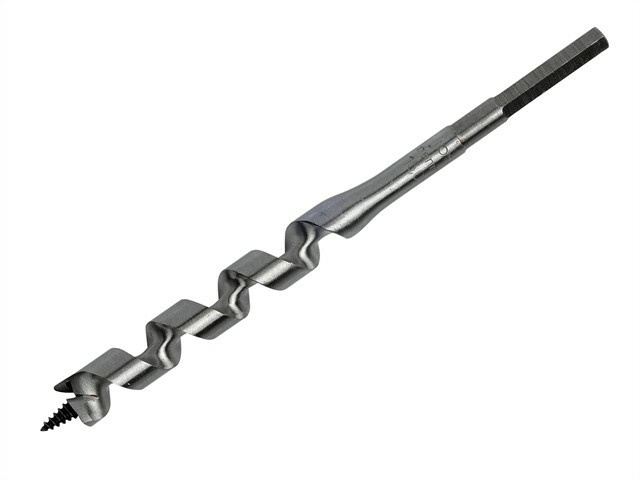 The Irwin auger wood drill bit has been designed for all general wood boring and offers a superior performance. The single spur cutting edge scribes the circumference of the hole for a smoother quality finish. The hexagon shank prevents slipping in a drill chuck or bit extension. The solid centre provides extra rigidity whilst boring, the self-feeding screw point provides faster boring in both soft and hard woods and the fully hardened body from tip to shank provides extra durability.